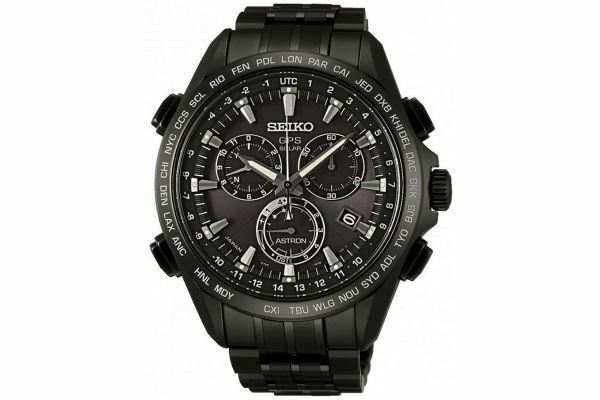 Men's Seiko Astron SSE009J1 black titanium gps satellite controlled chronograph watch with a round polished case. Has a black dial with large three dimensional batons and hands, a date display window and three multi functional sub dials. Features a black titanium bracelet with black IP highlights and a push button fold over clasp. 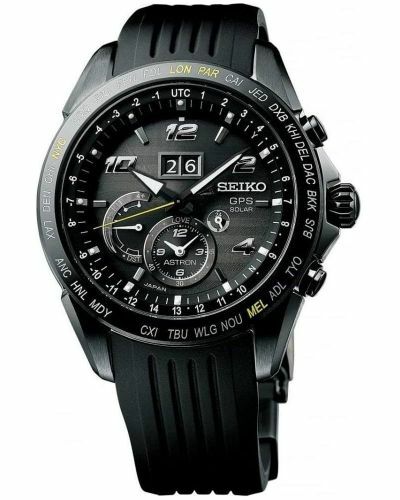 Powered by a Solar cell movement and comes with the Seiko 2 year guarantee. The watch communicates with satellites, and not radio signals, which enables it to maintain highly accurate time in all 39 time zones around the globe. 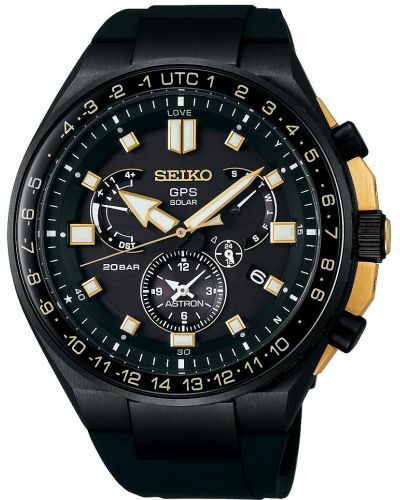 This is an outstanding timepiece that is beautifully designed from high quality materials and feels light on the wrist. It is the perfect watch for those looking for both style and practicability. 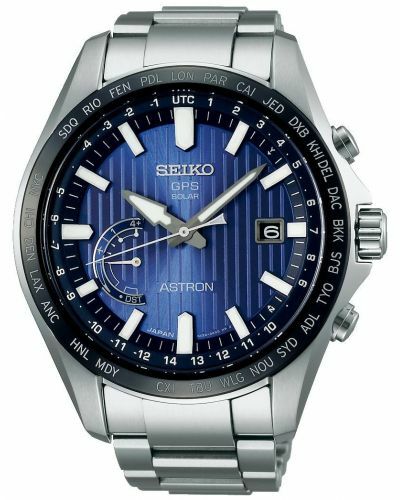 For us to size your new Seiko Astron watch as accurately as possible, please take a look at our downloadable Watch Sizing Guide.